Protect myself ON & OFF the road. Get identity & legal protection, keep my job and income safe. 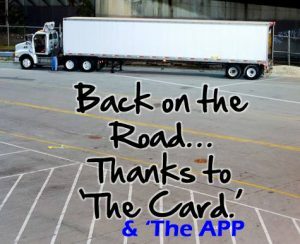 Commercial Drivers have a License that they need to protect. If not protected, our nations professional drivers are at risk of their jobs, their livelihood, their income. If any of those are compromised, due to identity theft or trivial/traumatic legal issues, trucks can stop rolling. No mileage = no pay. Keep those wheels rolling is a real battle today. The signal to bypass the weigh station might be a win when you are selling your home; but as a driver, vast local/county/state/federal regulations and sitting idle, waiting on loads, will pin you down. That’s why you need a warrior like me on your team. I was an Aircraft Armament Systems airman in the US Air Force. I know what it means to contribute to a critical operation. I’m Terrance Kohler, and this is Operation: Road Front. You may call me Terry. I know America’s roads, almost as much as you do, I’ve traveled across many times as a child PCS’ing with my Navy/Coast Guard father from one duty assignment to the next and also during my assignments in the USAF. Whether you are targeting your next load delivery, or your 34-hour shutdown, I build a path that leads to the success of our mission, keeping the driving force moving. I’m a visionary. Where some see limitations and roadblocks, I see an opportunity to move the front line forward. I recognize the importance of turning your criteria into a tangible asset! I serve your driving needs with pinpoint accuracy. I will take the time to get to know what you define as the ultimate road experience and will work tirelessly until you have found it. Contact me today to dial in a plan and get started! 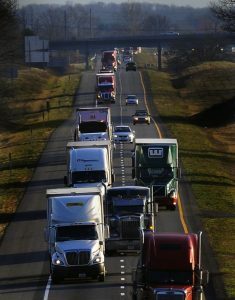 Educate our nations drivers on the better options to keep their job and income safe. CDL Veteran and Team Veteran LLC join forces to help protect our nations drivers while helping Team Veteran Foundation with the troubles our Veterans/Drivers and others may face with PTS, TBI and the avoidable path of suicide. We wanted to level the playing field. Identity theft & legal issues can mean trouble for anyone. Now, no matter who you are or how much money you have, access is available to help with a range of identity theft & legal services. We believe that by educating, protecting and serving our members, we can improve their lives dramatically. With nationwide law firms and licensed investigators by your side, you can truly worry less and live more. We’re proud to have high standards. You’re that important to us. We partnered with services across the United States and Canada with specialists in any issue you can think of. Click here for a few more reasons we choose the best for our nations professional drivers and Veterans. Who can you trust when it comes to minor or major issues, accidents or just need advice or assistance? You are a professional driver! Do you have access to professional legal assistance for those needs? We share with you what has helped many drivers on the road and back home. 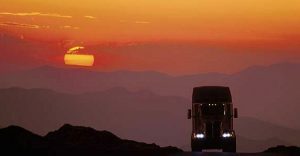 Our team of U.S.A. military Veterans, serving our nation once again, are truck drivers or have joined the mission to serve our Veterans holding a commercial drivers license. We are a group of CDL holders who are also U.S. Veterans. Having served in the U.S. Armed Forces, with honor and integrity, we serve America still. Life on the open road can bring twist, turns, and a few unexpected detours along the way. With LegalShield Commercial Driver’s Legal Plan, (CDLP) you can protect your legal rights anywhere in the U.S. when you are driving your commercial vehicle. Whether you’re down the street or miles from home, you aren’t alone. Get your own web site and support Veterans!